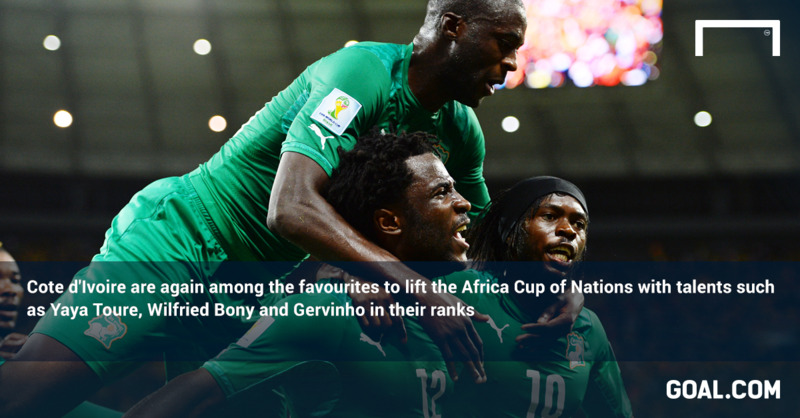 The build-up was anything but straightforward, but we are now finally set for the 2015 Africa Cup of Nations. Morocco was unwilling to host the 2015 Afcon due to concerns about the West African Ebola crisis. The Confederation of African Football (Caf) took extreme measures in November by expelling Morocco from the tournament altogether since it would not host the games as planned in January and February. Equatorial Guinea was the only country willing and able to step in. Caf may have succeeded in keeping the show on the road by plumping for the tiny, oil-rich nation. But question marks over the suitability of Equatorial Guinea to host persist right up to the last minute. Ghana, South Africa, Sudan and Egypt all declined invitations to take on the event but President Teodoro Obiang offered up his nation as hosts. He met in November with Caf president Issa Hayatou with the end result being that Malabo, Bata, Ebebiyin and Mongomo would each host matches. While the cities of Malabo and Bata hosted games during the 2012 Afcon and as such are reasonably suitable venues, the infrastructure around the border towns of Ebebiyin and Mongomo might be less prepared. The stadiums operate restricted capacities but recent evidence suggests that regional cities at the Afcon struggle to mobilise locals to attend tournament games. Nonetheless there are plenty of reasons to be excited about the kick-off. The presence of nine continental champions among the 16 competing teams demonstrate that this is a field loaded with pre-eminent African talent - even if continental kings Egypt and Africa's most populous nation Nigeria, the defending champions, both fluffed their qualification attempts. There is a relatively open field given the lopsided nature of the draw and the uncertain status of many of the favoured teams. The hosts, along with Burkina Faso, Gabon and Congo, comprise a relatively weak Group A with the top two going on to meet two of Group B’s Zambia, Tunisia, Cape Verde and DR Congo in the quarter-finals. Giants will fall in the other half of the draw where Ghana, Algeria, South Africa and Senegal make up a frightening Group C. Cote d'Ivoire, Mali, Cameroon and Guinea compete in a strong Group D. Some unfancied sides in the top half of the draw will have the opportunity to take their place late in the piece. There is a fresh new generation of talent ready to make an impression on this highly-anticipated tournament. The World Cup in Brazil ended in disappointment for most of the African participants, but Equatorial Guinea 2015 offers a chance to put things right for those eliminated at the group stage. Ghana hired Avram Grant as coach and will hope the administrative problems which plagued 2014 lie behind them. Talents like Asamoah Gyan and Andre Ayew still lead the squad while Baba Rahman, a left back for Augsburg who has attracted attention from AC Milan, will be their player to watch. The Black Stars have reached the semi-finals for the last four tournaments running, lost to Egypt in the 2010 final, and will expect to go a step further this time. Cameroon persisted with Volker Finke after a disastrous tournament which was marred by in-fighting, ill-discipline and accusations of match-fixing. Finke has overhauled the playing squad, with the troublesome Samuel Eto’o out of the picture, to find a successful strikeforce in the shape of Porto's Vincent Aboubakar and Clinton N'Jie of Lyon. Franck Kom, the 23-year-old midfielder from Etoile de Sahel, is tipped to be their breakout star. Cote d'Ivoire are without their long-time captain and talisman Didier Drogba, who has now retired from international football, leaving a gaping hole in a squad that is always expected to win these tournaments, but always seems to disappoint. Stepping into the breach will be new Manchester City signing Wilfried Bony. The most expensive African player in history at €36m, Bony should lead the Elephants to the latter stages. The challenge is now to win it. Algeria were the best-performing African nation in Brazil, reaching the second round before being eliminated in extra-time by eventual winners Germany. Gone is their coach Vahid Halihodzic, who has been replaced by Christian Gourcuff, father of Yoann. They boast the strongest unit in the competition and eased through qualification by virtue of Yacine Brahimi, the Porto player who looks set for a massive summer transfer. There is, in that case, excitement, unpredictability and star quality in store over the course of the next four weeks. Cote d'Ivoire, Algeria, Ghana, Cameroon are expected to lead the charge towards the title but Tunisia, Burkina Faso and even South Africa will have something to offer. There is no Eto'o or Drogba to attract external attention these days and so the burden rests on a new generation of stars. Brahimi was the standout African talent of 2014 while Bony fills Drogba's boots for Herve Renard's Cote d'Ivoire. Gyan, Brahimi, Aboubakar, Bony and Gervinho will all vie for the top scorer title in a field loaded with individual talent. It's been a long time coming and, at one stage, did not even look likely to take place but it's time to sit back and watch the drama unfold.